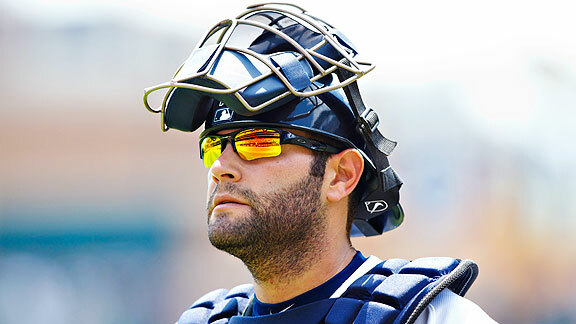 There was a time earlier this year when I advocated sending Alex Avila down to Toledo. He was lost. He was hitting .166/.265/.280. He showed the occasional flash, but it was mostly one of those horrible stretches in which a player is stuck in between and can’t find his way out. But very shortly after that he took one on the wrist and jumped on the DL. It was June 16th and he had a .560 OPS. But Avila has been himself since the injury and even better if you put the cutoff at the All-Star Game, hitting .284/.360/.485 since the wrist injury and .313/.376/.545 since the break. He’s been the Avila we saw in 2011 as he’s posted a 153 wRC+ since the break compared to 141 wRC+ over all of 2011. It’s probably wrong to think he’s going to be that player consistently, but it’s not wrong to be optimistic that the worst is behind him. The statistics tell a convincing story. If we drop the cutoff before and after his two week break due to injury or at the ASG, Avila looks much more like the player we thought he would be. Granted, sample sizes can always cloud your vision when it comes to statistics, but the actual swing mechanics have looked so much better ever since he got back. 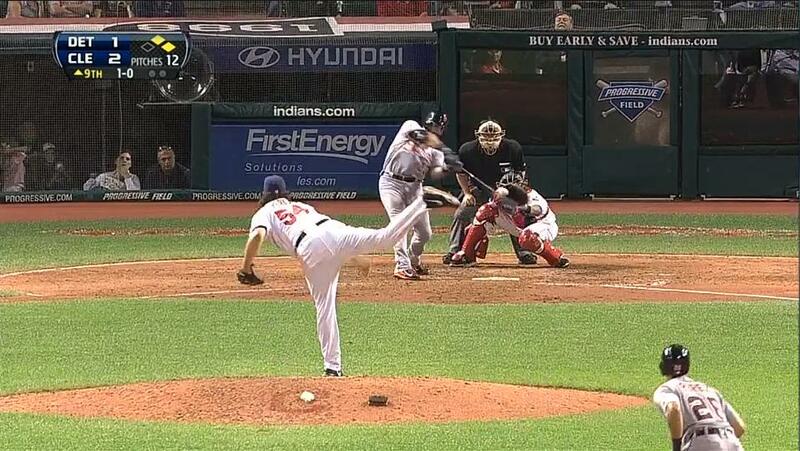 The flashpoint for me was the go-ahead homerun in Cleveland on August 5th where he cleared the high wall in LCF. 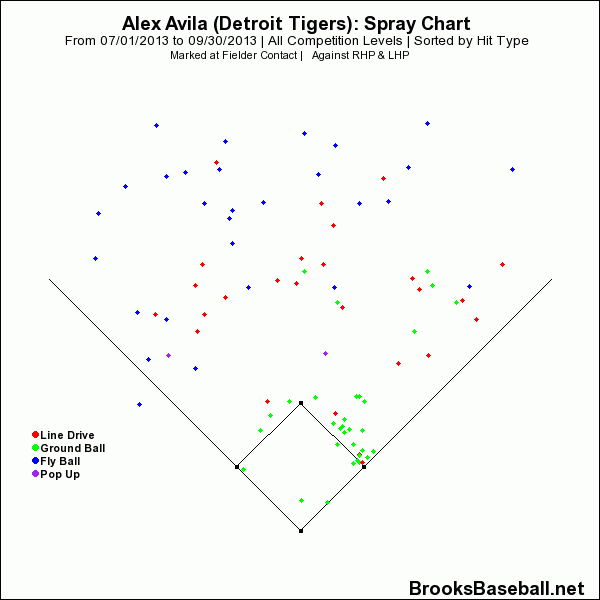 I’ve always though Avila was at his best when he took a short path to the ball and drove pitches to left center and he’s doing that again in a big way. Let’s draw the line at the wrist injury which puts about 190 PA on one side and 150 on the other. Neither is huge, but they aren’t way out of proportion. Not only is he less pull happy overall, but when he goes the other way he’s now hitting the ball on a line much more often. So Avila is driving the ball to the left center field gap and he’s doing much better against breaking balls and offspeed pitches. This probably isn’t surprising information considering how much his numbers have picked up. The swing is a lot shorter to the ball and it’s been a huge improvement. I wish I was adept at GIF-making, because a visual illustration would be great. 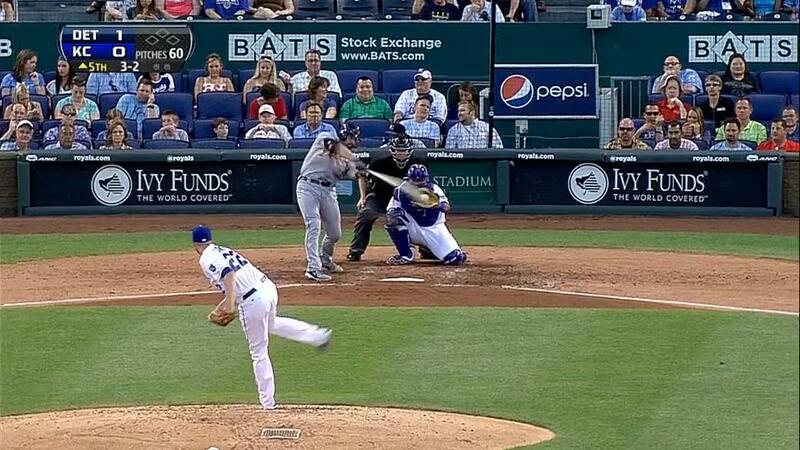 Below are two screenshots from pitches at nearly identical locations at very similar speeds. He misses the first and hits the second for a game winning homerun. I think you can see the slightly more compact swing in the second, but if you can’t, that’s more my visualization abilities than anything else. 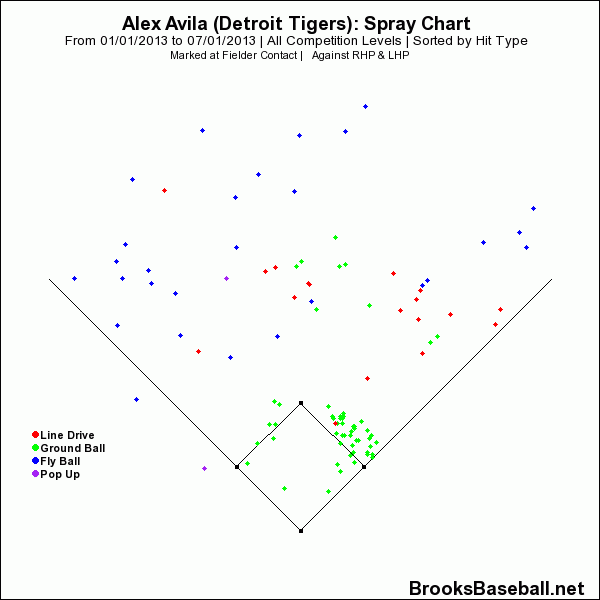 Also, one of Avila’s big problems during the slump was his awful numbers against lefties. Granted, he’s still not tearing it up against southpaws and neither is a big sample, but the comparison is striking. In 26 AB against lefties before the injury he hit .038/.100/.038. In 45 AB since, he’s .222/.314/.378. Add that to his ability to mash righties lately (Since the injury, 315/.384/.539 against RHP) and you’re in business. He’s improved against lefties and he’s gotten better overall, but you don’t just see it in the numbers. The spray chart tells the same story and the video does as well. It’s all looking up for Avila who has been worth a full win above replacement since the break and has himself up to 90 wRC+ for the season despite the terrible start. It’s not going to be a Silver Slugger year for the Tigers backstop, but ending the season like this is a very good sign for the future. He’s never going to be the most durable player and it’s probably wrong to expect him to be a 5 win player like he was in 2011, but there’s no reason we shouldn’t expect him to be an above average catcher for the next couple of seasons. The swing is back and he has the number to prove it. And really, if he delivers in October and helps the Tigers win a World Series, is anyone going to care how he hit in May?